How would you like to design your Rectangular Stickers? Available in 3.30" x 2.17"
Use our unique, modern design templates right out of the box or customize to suit your style. Print a different image on every single sticker at no extra cost – up to 50 different designs in a pack. Create snazzy labels, bold name tags or excite people with your internal admin. Rectangular Stickers are totally versatile. We offer print runs of just 50 Stickers – print what you want as you need it. 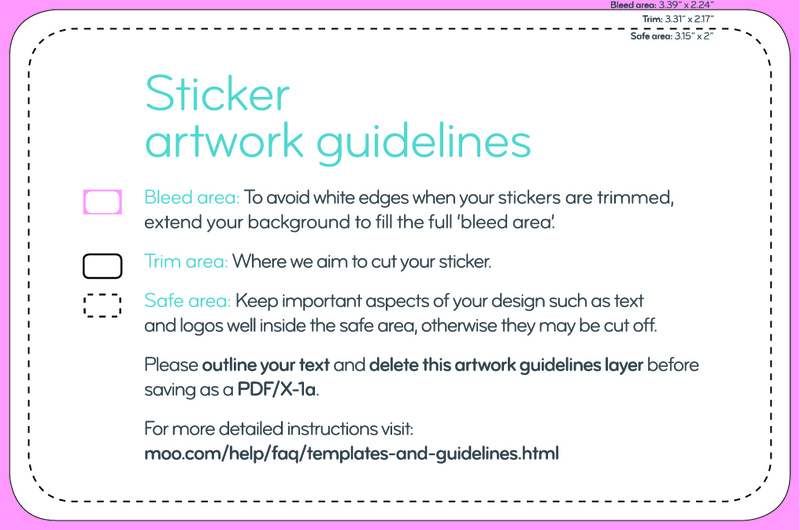 Make sure that your background extends to fill the bleed to avoid your Round Stickers having white edges when trimmed.